P3 helps take the mystery out of Social Media Marketing by helping you leverage the networks where your customers are found, and to use those networks to magnify and broadcast your company brand, increase qualified website traffic to your site, and generate new leads while elevating your company image and engaging your prospective customers. The list of plans below outline ideal plans for really generating a Social Media Buzz for your business. Please review the plan details and then we suggest that you give us a call so we can learn more about your goals, or fill out the questionnaire on the “Get Started” link. What if I pick the wrong social media marketing plan? Not a problem, you can upgrade or downgrade a plan at any time. We suggest you consult with the social media pros here at P3 and then pick the plan that seems like the best fit for your needs. If you need to make a change to the plan, we’re always flexible. There are no contracts. Every contract is billed monthly and you can cancel at any time. If you cancel before the end of a billing period, you’ll retain access until that billing period is over. Yes. We can construct a custom plan to accommodate any goals or directive you may have. We can even work hand-in-hand with you or members of your team to ensure we have really dialed in the most ideal solution for you. We except all major credit cards or we can put you on an auto-bill to be paid by check. What is a Facebook Custom Tab? Facebook offers the ability to custom code a “call to action” button and custom landing page. That page can be used for a variety of different purposes, from special offers, to lead capture forms, to website content…you name it! It can be a great way to distinguish your Facebook page from your competition and build your following and a marketing list at the same time. What is a Social Media contest or campaign? A contest campaign is a fully customized promotion geared specifically at ramping up followers, fans and brand recognition. The opportunities here are endless and we’ve got too many tricks up our sleeve to list them all. The plan here is simple – to dramatically increase brand awareness, generate excitement and harness brand building opportunities. Based on your particular goals and the content of the campaign or contest, we’ll collaborate with you directly and offer up some ideas that will really motivate your target market. How will you represent our company effectively? P3 has been helping businesses of all shapes and sizes develop and proliferate their brand message and marketing collateral for almost a quarter of a century. At P3, we get the importance of brand clout and how to uniquely communicate messages on behalf of our customers. We’re able to do this based on vast years of experience and by how closely we work with you to ensure that your message is constructed effectively and delivered succinctly with purpose. Part of our social media marketing process also has us work with and leverage key players on your team. Through collaboration, we’re able to interview you and your fellow team members to make sure the message comes from you and effectively solicits new business in the process. Want to Make Sure Your Social Media Efforts are Profitable? increase website traffic, and generate tons of qualified leads. Take a look at our plans below, then give us a call for additional details! The SocialGO Package is ideal for small businesses and professionals who want to grow their Social Media following across two primary platforms. P3 provides a dedicated Social Media Account Manager will work with you to help develop a Social Media Marketing Plan that builds your numbers and drive you to your goals & objectives. We will Brand and Optimize your Social Media Content to create a following and position you as an expert in your field. P3 will reply to comments and build two way, strategic conversations designed to promote your business. We will also establish a set of goals and regular monthly reports showing you the progress of your social media marketing campaign. Monthly In-depth reports will be generated to show you the valuable insights and continual growth of your social media persona. The SocialPRO plan builds on the SocialGO by adding features like Strategic Partner Targeting and Acquisition, designed to ensure you are reaching game-changer markets and industry players that can help you leverage and generate all the business you could want. Our Strategic Partner Acquisitions ensure you are engaging with your ideal markets with your brand message and content. The SocialPRO also employs the use of industry software that "listens in" and finds conversations you will want to be a part of. Once the goals and targets have been set from the initial social media marketing plan, this proactive content filtering component can be another game changer for your company. Imagine how being omnipresent and at the front of the pack can make a difference for finding new leads and opportunities for your company. P3 monitors social media conversations, using your target keywords, brand name, and strategic partners & competitors. By pulling monthly reports from our dashboard, we'll help you understand the content your customers want to see. This Business Intelligence will help develop strategies for capturing more, and more business. Another critical component that SocialPRO offers, is the value-added content creation that will help ensure you are expanding your ranking and industry authority by increasing your credibility as thought-leader and innovator in your field. The P3 Copywriters will help you grow and proliferate your brand message by creating 2 additional articles each month. These articles can be posted on your websites, turned into value-add downloads or resources, ebooks, case studies, YOU NAME IT! Then it’s time to disperse this keyword and content rich material throughout your targeted social media channels. The SocialStar is the SocialPro on steroids! It's the 900lb Social Media Gorilla in the room...and your competition better watch out! Are you ready to generate Influence and Clout? Do you want your company and brand image to be a pioneer and thought leader that captures the interest of your target market? Do you want to make your competition look like they're still playing in the sandbox? Then this is the plan for your company. Our marketing specialist and copywriters will create amazing, compelling content to position your brand as the leader in your market-space. Get ready for Increased leads, massive website and content hits, and enhanced image and brand perception. We'll use your competitors as the baseline, and we'll construct a social media plan with you that ensures you leave your competition in the dust. The Social Media Marketing Plans listed below are packaged to catapult the majority of business to the levels they want to compete and receive leads, new business, brand loyalty, and consumer advocacy. However, P3 understands there are needs both bigger and smaller than those listed below. If you don't see an ideal plan for you and your company, we encourage you to reach out to the Pros at P3 to discuss your goals and options. In most cases P3 can scale and customize a plan that will meet your goals and budget perfectly. 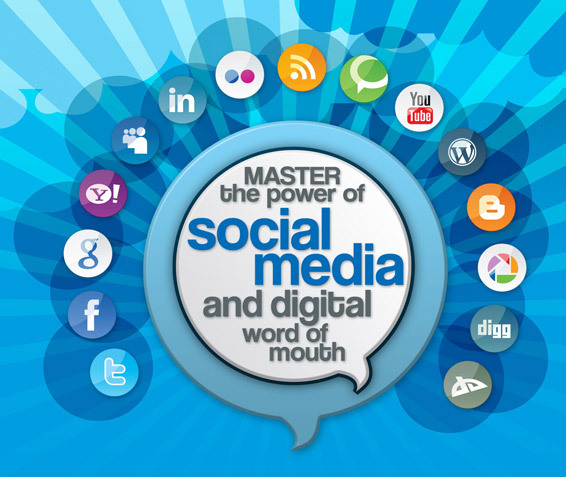 Contact us at (800) 515-9422 to speak with a Social Media Marketing Specialist to find the a solution perfect for you.